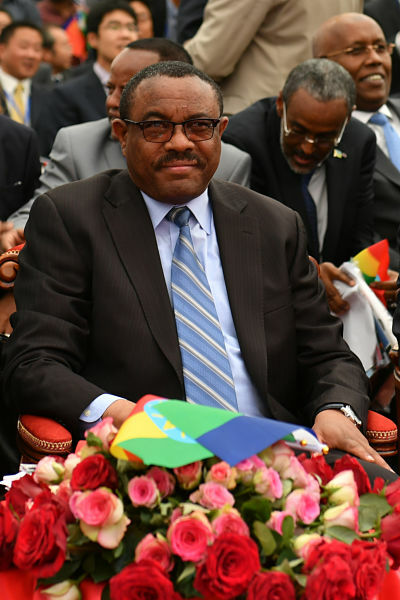 After the most tumultuous week in Ethiopian politics for years, which included the resignation of Prime Minister Hailemariam Desalegn, hardliners appear to be reasserting themselves in the accustomed manner. Public debt is spiralling and the International Monetary Fund is back in business in Africa. That figures. But it's not a straight rerun of the testy relationship of the 1980s and 1990s. Now, countries such as Ghana and Zambia are lower-middle-income countries. That means no more cheap money from the Fund or the World Bank. But their imprimatur is essential for a government to issue bonds. Ghana's government inherited a debt nightmare from its predecessor but is ploughing an independent course. It has already raised US$2.5 billion in bonds to help restructure its debt commitments. It's also talking to Germany and China about longer-term financing deals but is in no hurry to negotiate a new deal with the IMF. Zambia, in contrast, faces an increasingly threatening debt mountain, after reports of reckless state procurement. Although the government is negotiating a $1.3 bn. loan from the IMF, it adopts a tough rhetorical position. Last week, the IMF told Zambia that it would have to get Beijing to give a state guarantee to a loan offered by a private Chinese company. No one in Lusaka wanted to talk about that. Similarly, no one in President Koroma's government in Freetown wanted to talk about the IMF's decision to stop disbursements to Sierra Leone after a free-spending and electioneering budget. Or some, like the Kenyan government, simply insist there is no problem with its IMF programme, some six months after Fund has stopped disbursements.